Looking for some Italian wines to try this Valentine’s Day (and beyond)? Well, it just so happens that we drank a whole lot of vino while researching our recently published book, Decoding Italian Wine. Here are 10 of our favorites, ordered from least expensive to priciest. We hope you enjoy them as much as we did! 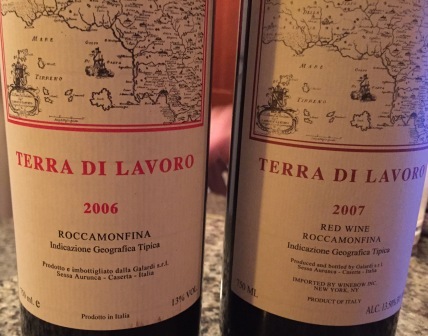 10) 2006 and 2007 Fattoria Galardi Terra di Lavoro Roccamonfina ($70): These are huge wines with notable differences between the years, which was fun to sample. Eighty percent Aglianico, a varietal we wrote about in detail and that should be on everyone’s radar. Great food wine, built to last. Two beauties here.